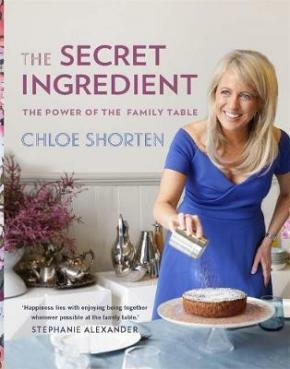 With treasured recipes, Chloe Shorten shows how eating together as a family offers more than a meal: it can nourish relationships and nurture your children. Chloe reveals ways to encourage the connections we make at the family table. She shares her tried-and-true recipes passed down from family, friends and neighbours across Australia: her mum Dame Quentin Bryce’s popular eggplant parmigiana, icon Wendy McCarthy’s perfect roast chicken and a chocolate cake so divine it was served in restaurants. The Secret Ingredient invites you to bring the remarkable power of the family meal into your home.